Even though most of us are enjoying a holiday break and our favorite TV shows are too, there’s still a few things worth checking out this week. Look below for the highlights this week, followed after the break by our weekly listing of what to look out for in TV, Blu-ray and videogames. 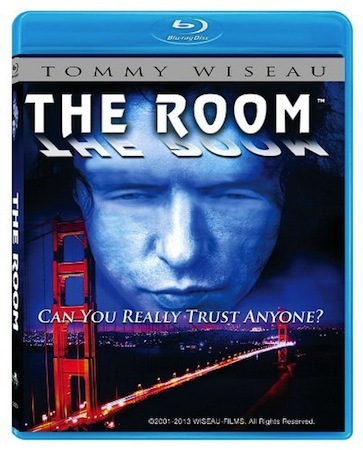 Touted as “one of the worst films ever made,” Tommy Wiseau’s The Room is one of the few movies being released on Blu-ray this week. Whether you consider it as an intentional comedy or one of the most poorly crafted efforts at a drama of all time, it is not a movie you should watch…unless you love bad movies. Check out the trailer after the break for a taste, the full HD experience (according to an interview, the filmmaker shot it entirely both in film and digitally in HD because he couldn’t make a decision) will cost more than thirty bucks. You name it, there’s a bowl sponsored by it. If your college football team hasn’t played in a bowl yet, there’s a good chance they will this week, and it will be on ESPN, check the listings below for the list of games and times. Of course, until the BCS games start these matchups don’t have a lot of pull, but if you just want to see your favorite team one more time, these will have to do.